CAMERON Bancroft has been named to make his return to competitive cricket in the Perth Scorchers' Big Bash League match against the Hobart Hurricanes on Sunday. 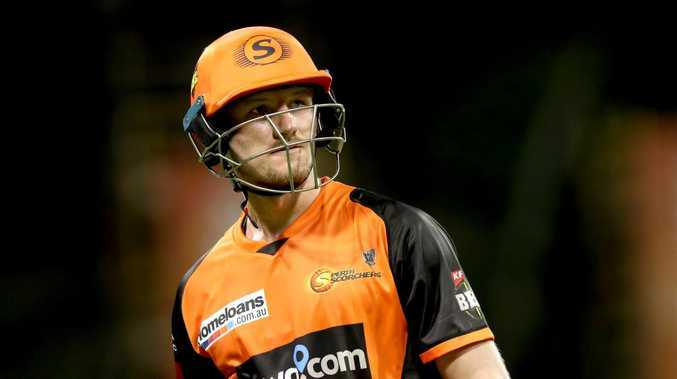 Bancroft's nine-month suspension came to an end on Saturday and the Scorchers have wasted no time bringing him back into the fold, picking him in a 13-man squad to play Hobart at Launceston. The opening batsman was sent to the sidelines for nine months by Cricket Australia after being caught red-handed tampering with the ball in Cape Town. Captain Steve Smith and his deputy David Warner were dealt heftier punishments, with both banned from international duty and professional domestic cricket in Australia for 12 months. Smith was punished for failing to act on knowledge of a "potential plan" and attempting to cover up the details of the tampering, while Warne was fingered as the mastermind of said plan.